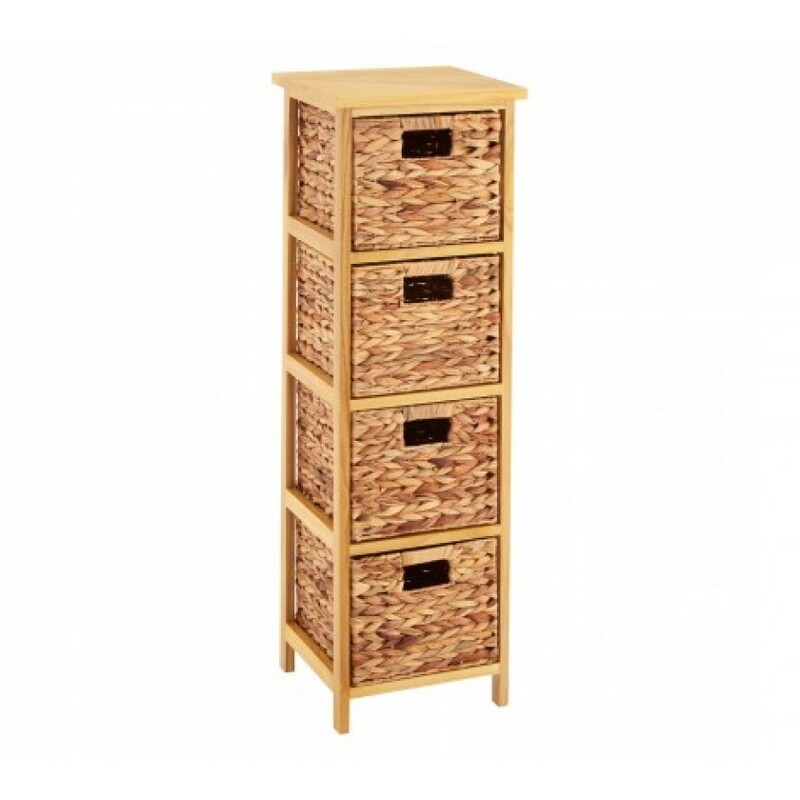 Adding a charming, warm feel to your room, the 4 drawer tall storage unit made from natural water hyacinth is the stylish way to keep your home organised and tidy. The sturdy wooden frame is made from Paulownia wood ensuring stability while retaining the natural look. The four baskets are made from beautifully woven water hyacinth, which is known for its robust nature, making it ideal for placing books, magazines, linen, clothing and other knick-knacks in. Integrated handles allow you to easily pull the drawers out. 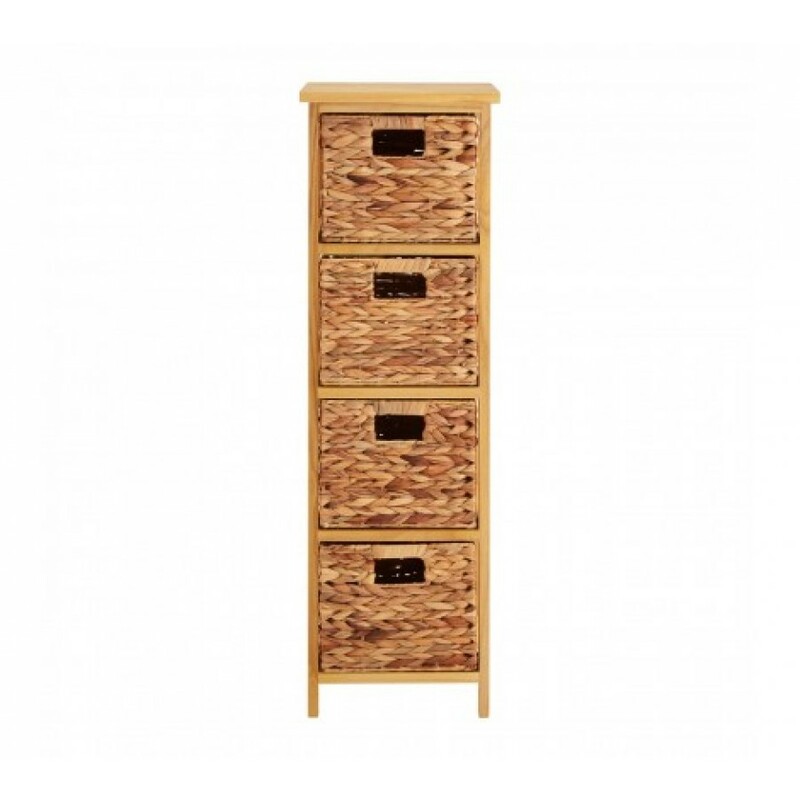 Complementing most decors, the water hyacinth four drawer tall storage unit will give your bathroom, bedroom or living space wonderful storage solution.